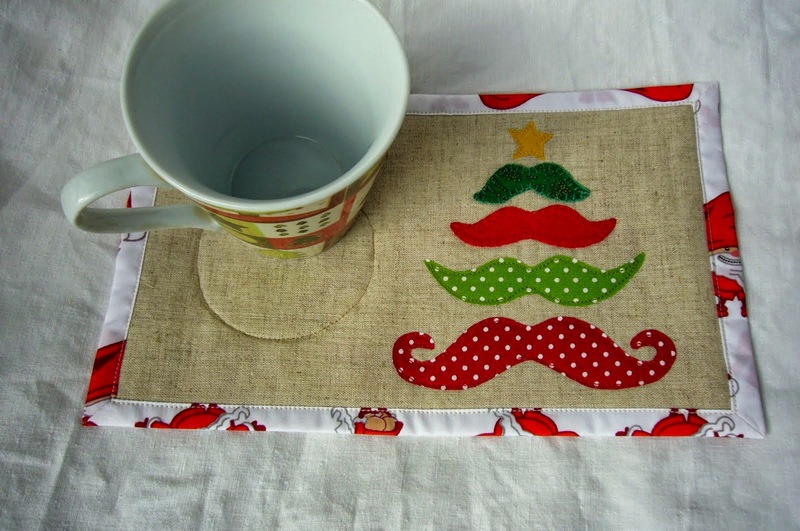 This idea is not new, I have made such cushion years ago. 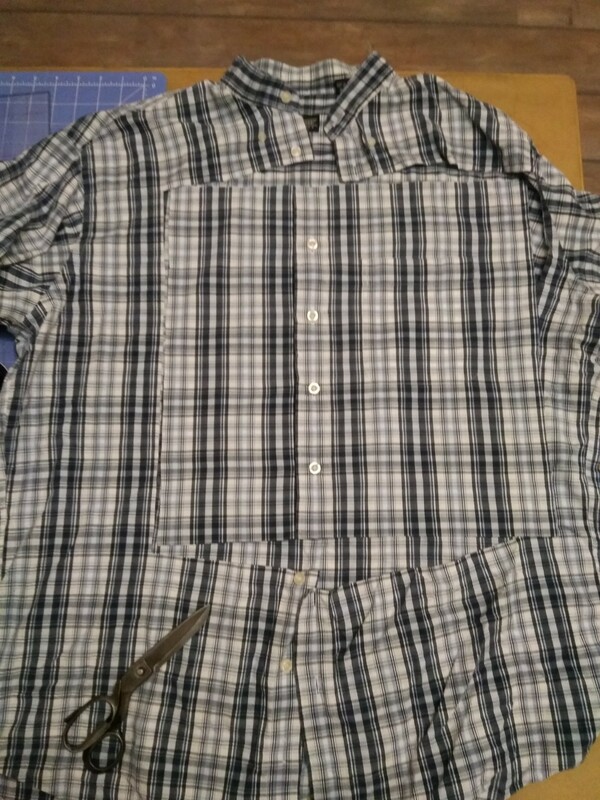 Now I developed the idea much more - I used the pocket of the shirt. 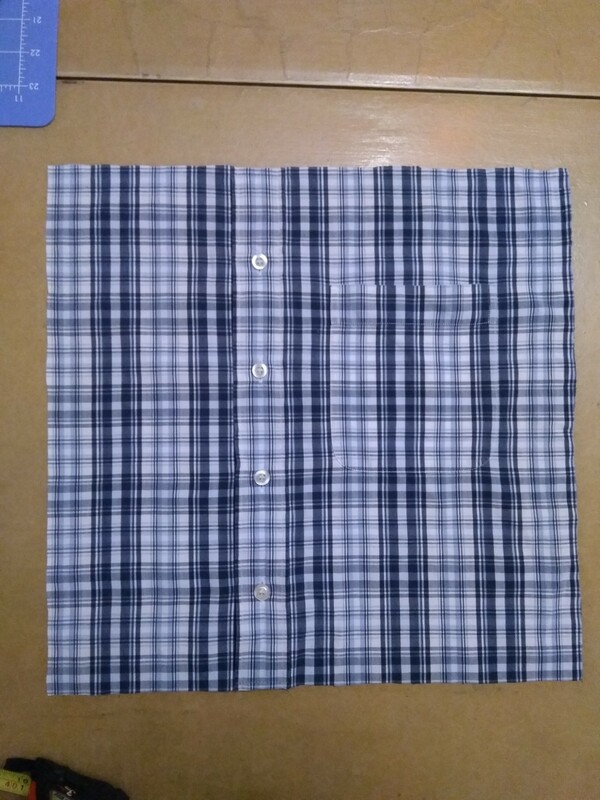 From the front sides of the shirt cut 15 inches square. 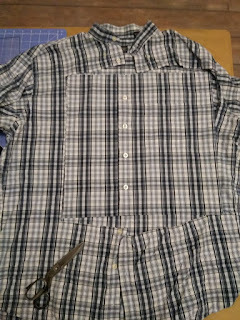 As in the old tutorial you can use the back of the shirt. 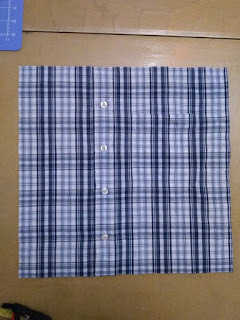 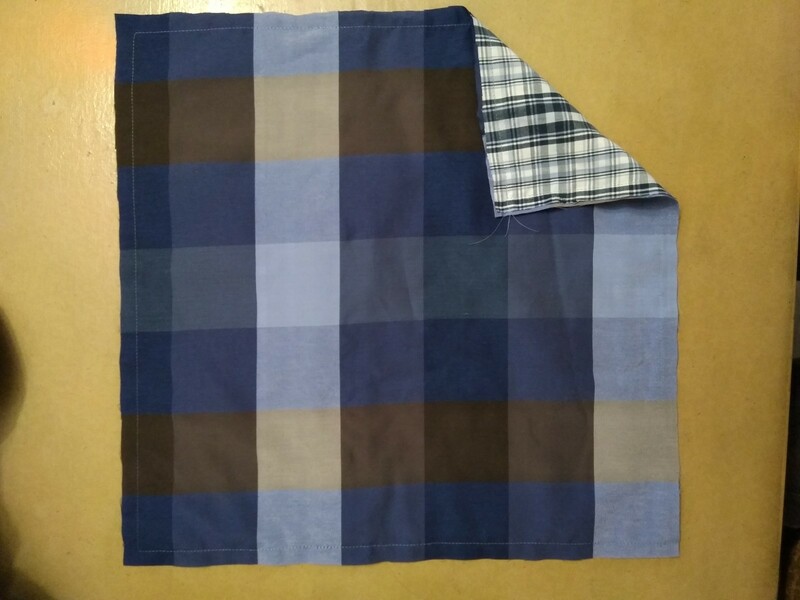 This time I used another fabric.